Hall of the Mountain King: Review: Sanctuary, "The Year the Sun Died"
Review: Sanctuary, "The Year the Sun Died"
If there’s a balm for fans to ease the breakup/hiatus of Nevermore, it has to be this: The first new music from Sanctuary since 1989. Four-fifths of the original lineup returned for the band’s 2010 reunion and for The Year the Sun Died — vocalist Warrel Dane, guitarist Lenny Rutledge, bassist Jim Sheppard and drummer Dave Budbill. Only guitarist Sean Blosl passed on the reunion. He’s replaced on the album by Brad Hull, who joined the touring band in 2011, after the departure of Nevermore guitarist Jeff Loomis. 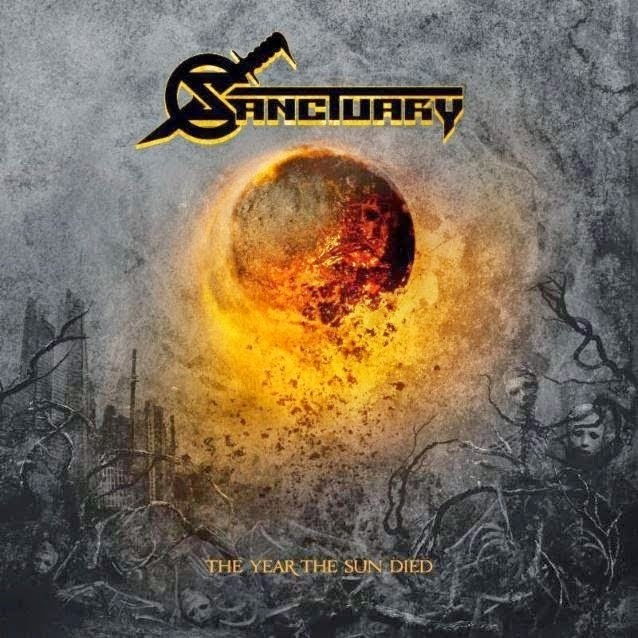 The 2014 version of Sanctuary has, perhaps, a bit of a chunkier and heavier sound, with some shades of Nevermore’s more progressive leanings coming into play at times. Dane’s vocals are the deeper warble we’ve become accustomed to with Nevermore, rather than the youthful shrieks of the late 1980s, but no less powerful. In truth, though, not a whole lot has changed and what is different is for the better. Album opener “Arise and Purify” makes it plain what you’re going to get right off the bat. The tune opens with a heavy and a bit unorthodox thrash riff with sliding notes that give it kind of a spacey or exotic feel. It’s the first of quite a few fantastic riffs from Rutledge and Hull. Then Dane comes in with his unmistakable warbling vocal approach. There’s a big, memorable chorus and plenty of soaring guitar noodling. It’s pretty much the formula that Sanctuary and Nevermore have lived by since the late 1980s, and no one does it better. The band slows it down just a bit for third track “Exitium (Anthem of the Living),” which delivers another big spacey riff with a heavy dose of wah pedal. Dane’s vocals ring with power over the crunching guitars, and there’s more of that exotic feel both in the guitar sound at times and the moaning wordless vocals after the chorus. We’re right back to the heavy for “Question Existence Fading,” a pure thrasher that really puts me in mind of the band’s second album, Into the Mirror Black. There are several of those on the record, the shredding guitars of “Frozen” being another favorite in that vein. “I Am Low” brings some darkness into the album, with a clean guitar and mournful lead. Dane delivers a restrained and quieter vocal that reminds me of a ballad from Operation: Mindcrime-era Geoff Tate. The song builds slowly with a couple of fits and starts to a rousing metal section that fades back into a darker finish. “One Final Day (Sworn to Believe)” gives us a very nice acoustic guitar to start. Dane again takes the Tate approach, but with a little more power and gusto behind it this time. The acoustic lead after the first chorus has some of the tastiest guitar work on an album full of impressive licks. There’s a bit of groove on the opening riff of “The Dying Age,” a tune that shows off some of the band’s more progressive tendencies. That comes out even more on the title track, another dark and mystical-sounding piece that blends a bit of everything that has come before and brings the cycle of the album to a powerful crescendo. As a bonus, Sanctuary rounds the album out with, fairly appropriately, a cover of the Doors’ “Waiting for the Sun.” Bassist Sheppard gets to take the lead on this very faithful, but much heavier version of the tune. Those big guitar notes that punctuate every line of the chorus hit like a sledgehammer here, and Dane’s voice has a great tone for the tune. As much as I love Refuge Denied and Into the Mirror Black, there seems to be more sonic depth to The Year the Sun Died. That can certainly be attributed in large part to better production techniques and technology, but also, I think, to more mature musicians who are as comfortable with themselves and their work as they can be. The return of Sanctuary was one of my most anticipated records of the year, and it didn’t disappoint. 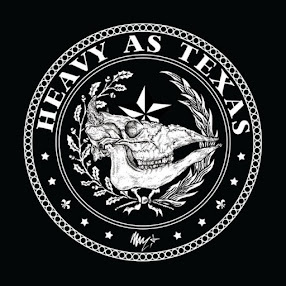 It’s certainly one of the best pure heavy metal albums of 2014.
Review: Whiskey Myers, "Early Morning Shakes"